While the ear essentially functions the same way for everybody, all people don't process sound in the same fashion. Experiences shape the way each and every person takes in what they hear. 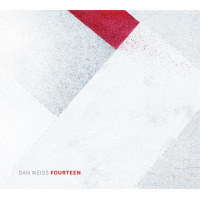 Some tend to focus in on a single sound, others key in on conversational concepts, and then there are those who are big picture listeners; drummer Dan Weiss' Fourteen, a brilliantly ambitious through-composed work, toys with all three of these angles of perception. 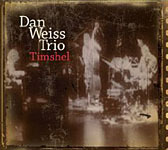 Weiss gathered fourteen forward-thinking folks and set them against each other in striking fashion, using juxtaposition as his chief tool for composition. The resultant music is full of pointed contrasts in mood, sound, and structure. A progressive edge informs all of this work, but despite popular opinion, progressive doesn't always mean aggressive. 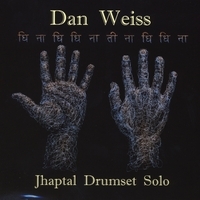 Weiss and company do lean toward metal music and pound away in places, but they're also capable of creating curious blends and delicate filigree when the texture thins out. Fourteen is divided into seven sections, each with its own merits and miracles. "Part One" begins with a focus on solo piano, but the piece pans out and slowly broadens and thickens with the addition of instrument upon instrument. 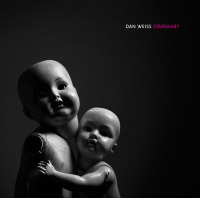 Things really begin to gel when saxophone and voice enter, and a wonderfully dense sonic thicket eventually forms. Guitar and glockenspiel counterpoint carries "Part Two" at first, but drums and voice throw a wrench into the works and help to alter the direction. The excoriating saxophones of David Binney and Ohad Talmor make a mark on "Part Three," ringing piano chords give way to some slamming passages on "Part Four," and a low brass exchange on "Part Five" proves to be an album highlight. Wordless vocals start "Part Six" off in gentle fashion, but things immediately take a bold-and-dark turn. The piano-focused "Part Seven," while somber and serious, still comes off as the calm after the storm. All of these notable moments make a permanent impression, but they're really just stop-off points in a far more involved and complex musical labyrinth. 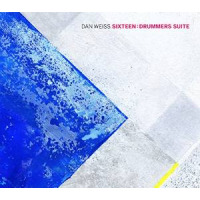 The aforementioned forward-thinkersa list which includes Weiss, Binney, pianist Matt Mitchell, trombonist/tubaist Jacob Garchik, guitarist Miles Okazaki and othersare part of the crème de la crème of creative music, so it should come as no surprise that they ruffle some feathers here and push the envelope in many places. It's to their credit that they lean forward instead of sitting back, making music that's heady and heavenly all at once. Track Listing: Part One; Part Two; Part Three; Part Four; Part Five; Part Six; Part Seven.